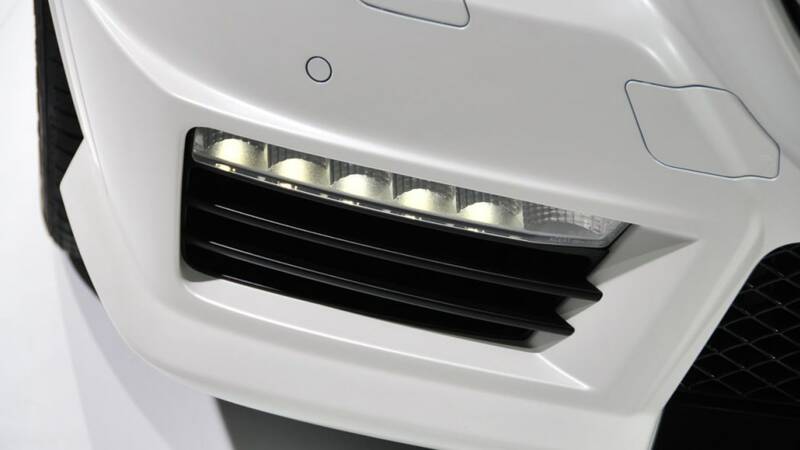 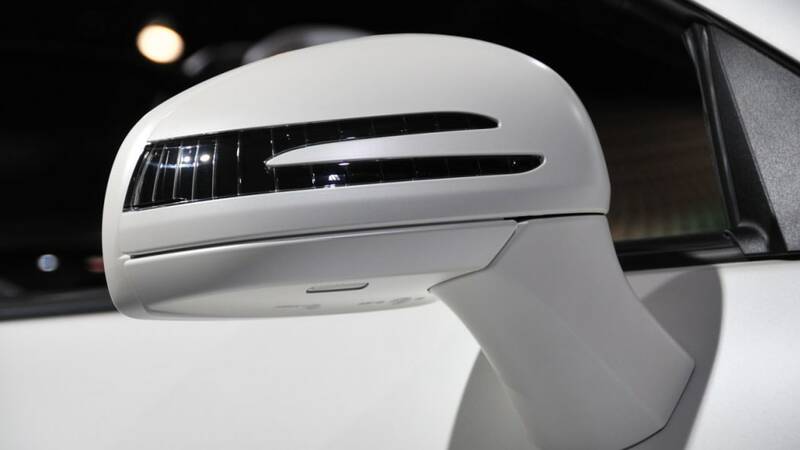 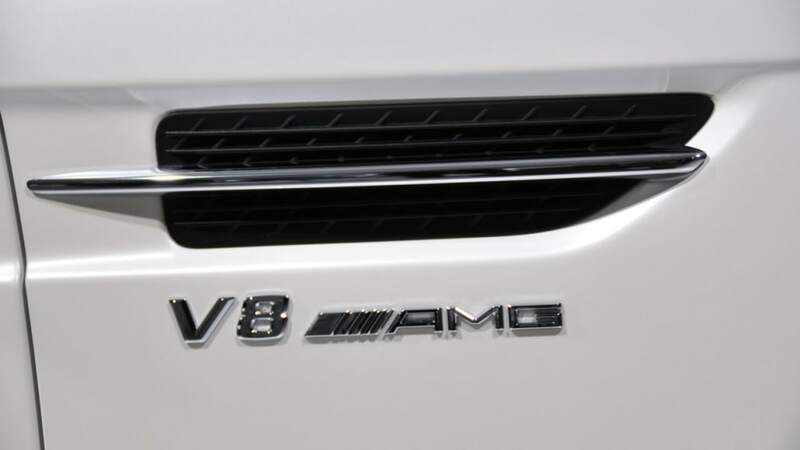 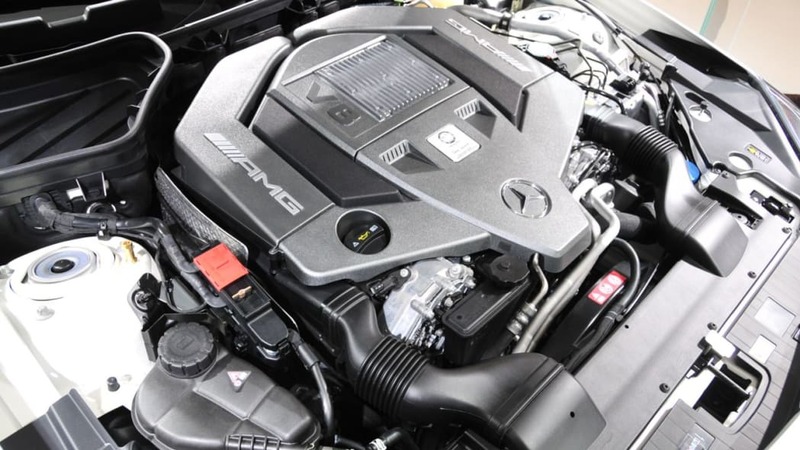 The smallest roadster in the automaker's lineup is all-new for 2012, and hardly in need of more power, but that hasn't stopped Mercedes-Benz from shoehorning its AMG-tuned 5.5-liter V8 under the hood. 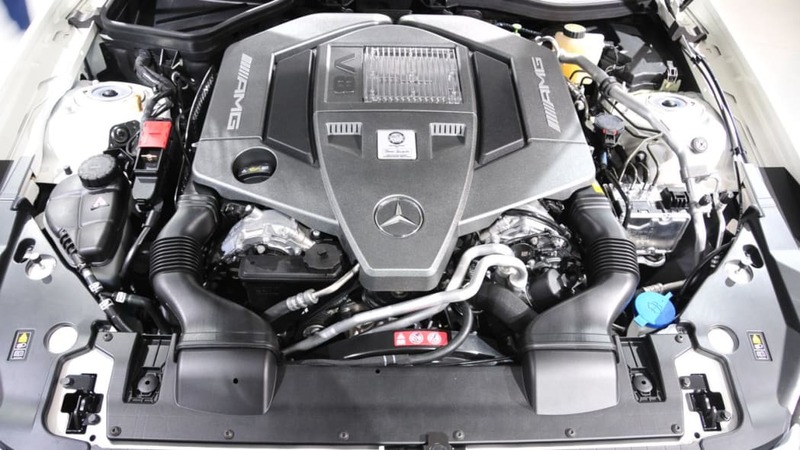 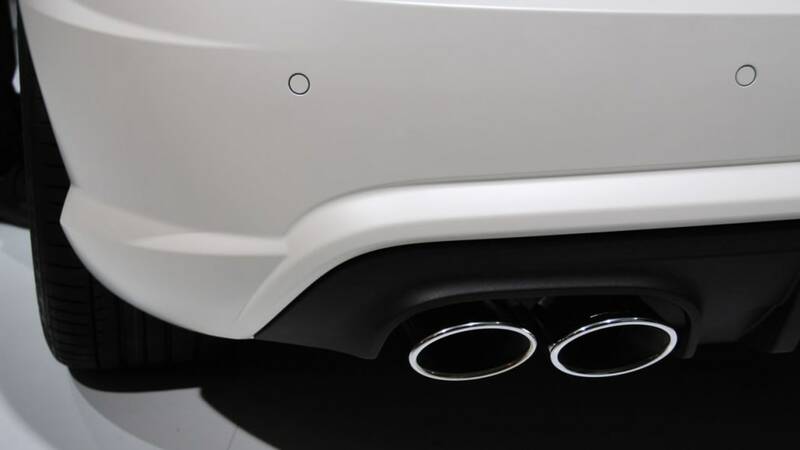 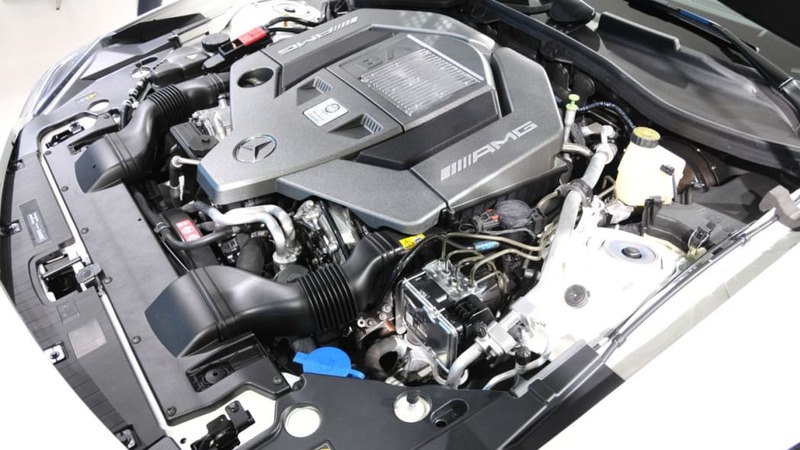 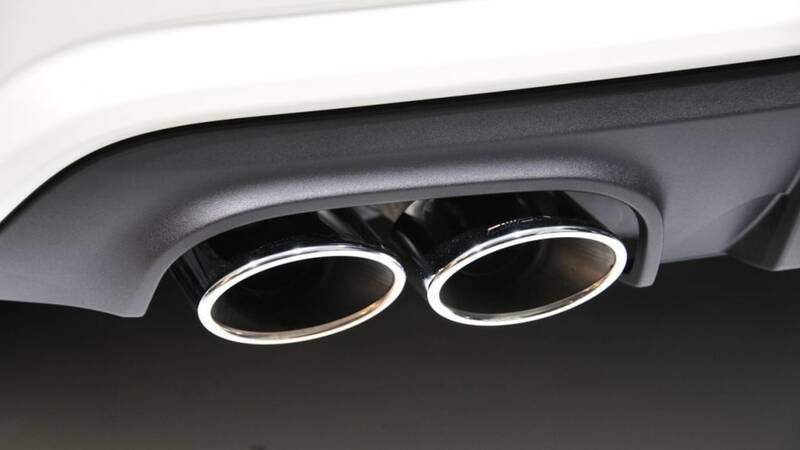 The naturally-aspirated M152 engine, featuring direct injection, is rated at 415 horsepower at 6,800 rpm with 398 pound-feet of torque at 4,500 rpm. 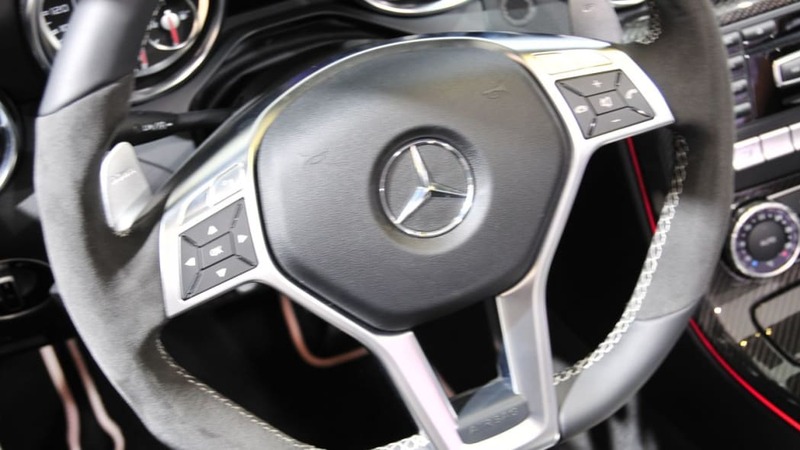 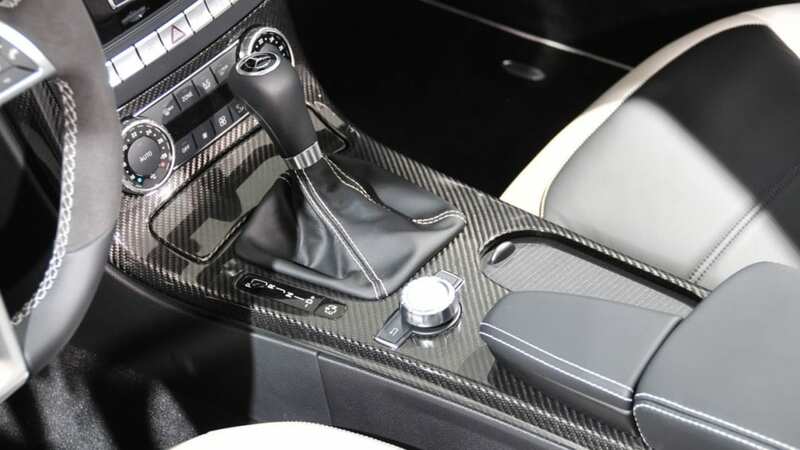 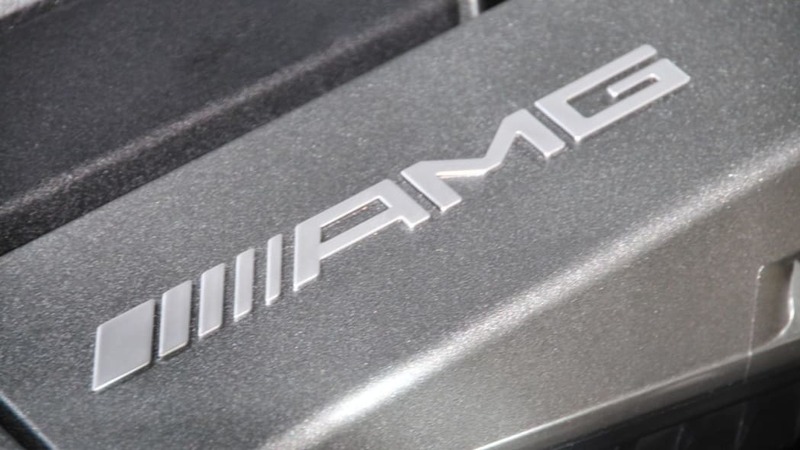 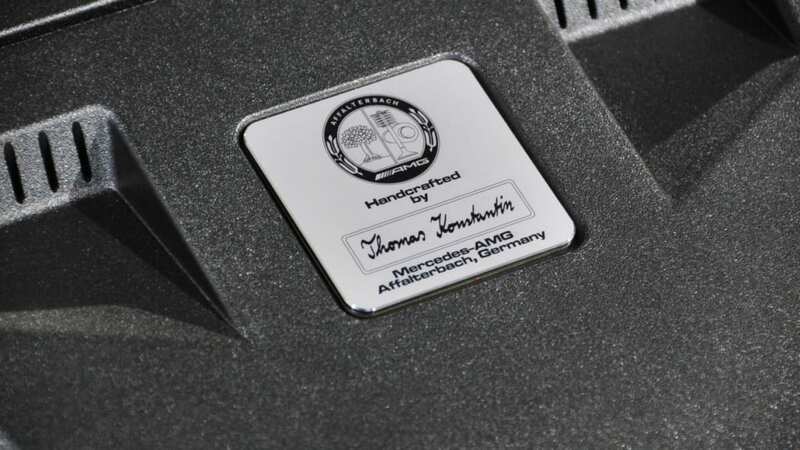 The standard gearbox is AMG's Speedshift Plus 7G-Tronic automatic with three electronic modes. 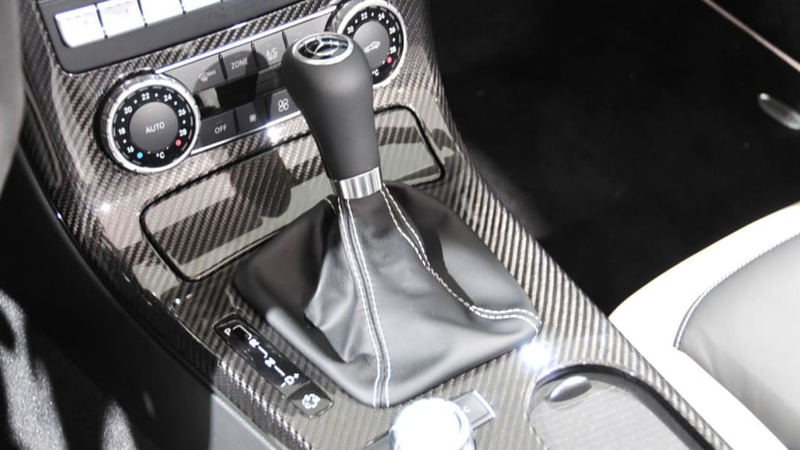 Rev-matching on downshifts is also standard. 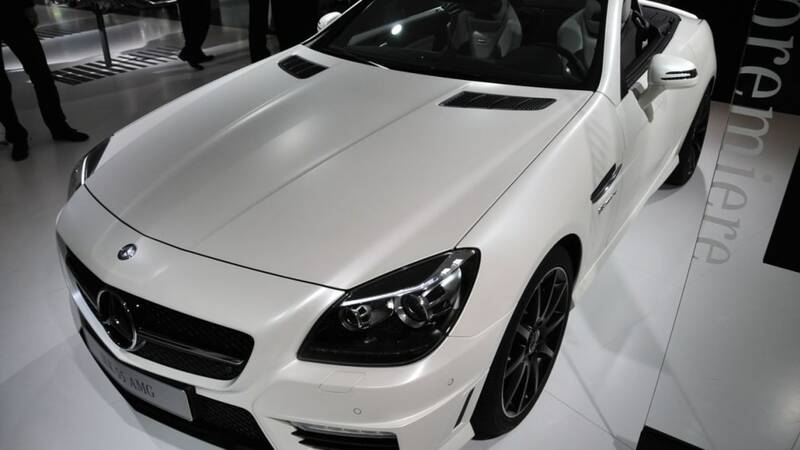 According to Benz, the two-seat SLK55 AMG will launch itself to 60 mph in 4.5 seconds and top speed is electronically limited to 155 mph. 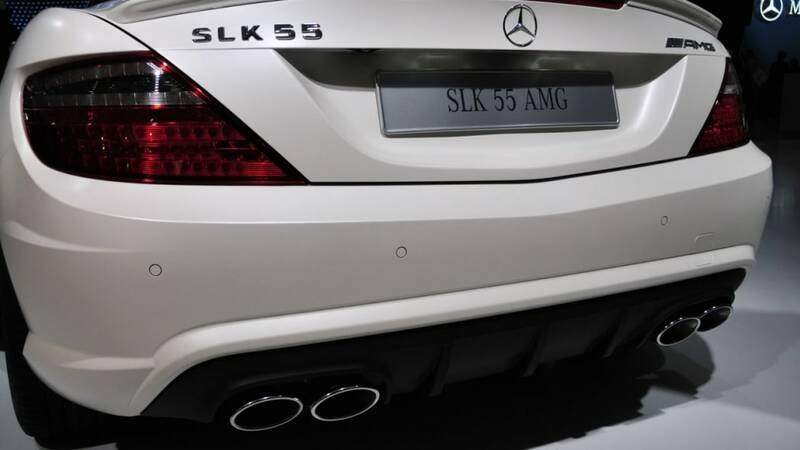 As expected, the range-topping SLK arrives with AMG sports suspension with Direct-Steer system, Torque Vectoring Brakes and three-stage ESP. 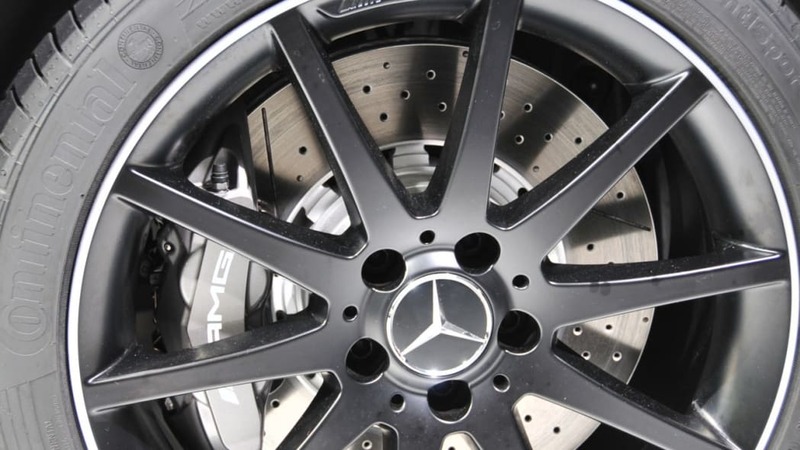 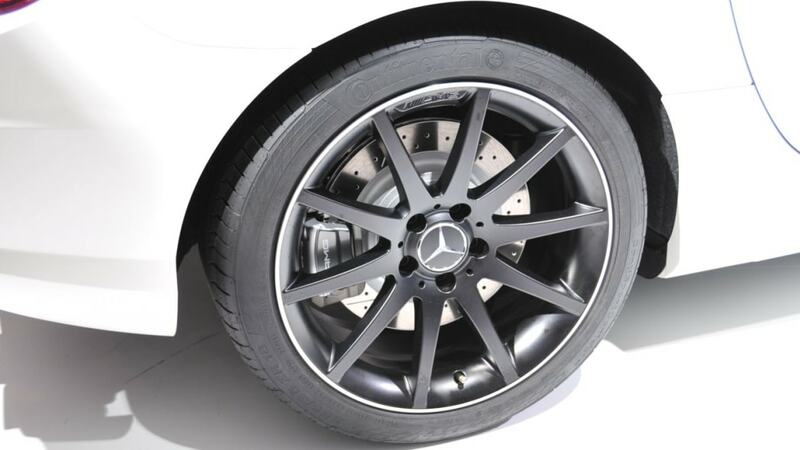 The AMG high-performance braking system includes four-piston front calipers and drilled rotors at each corner. 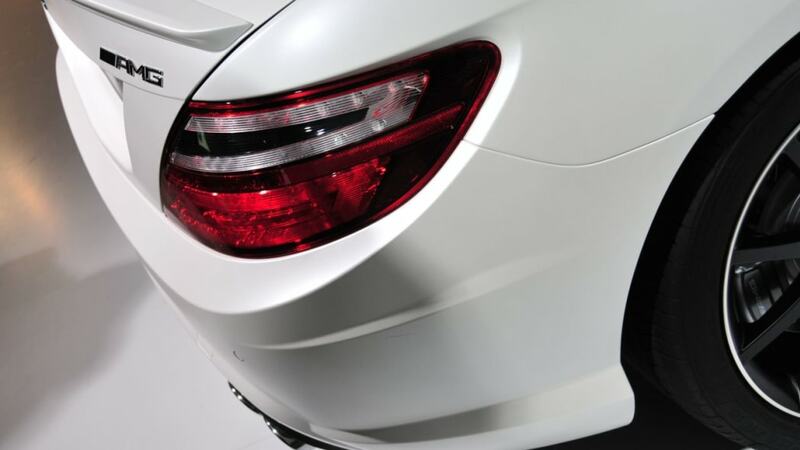 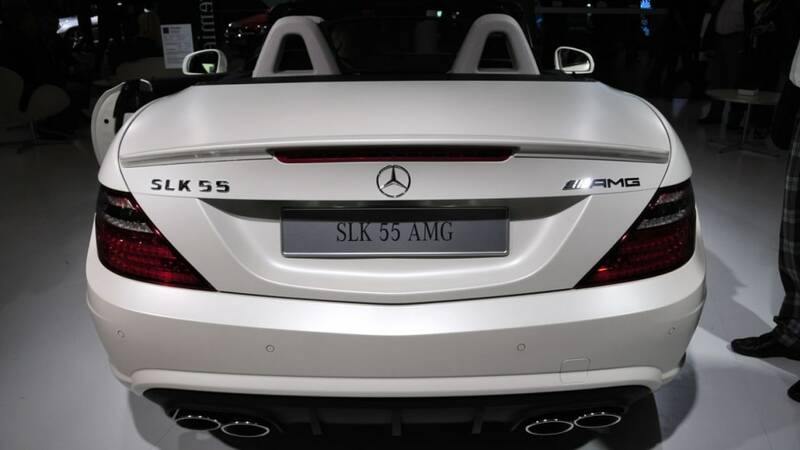 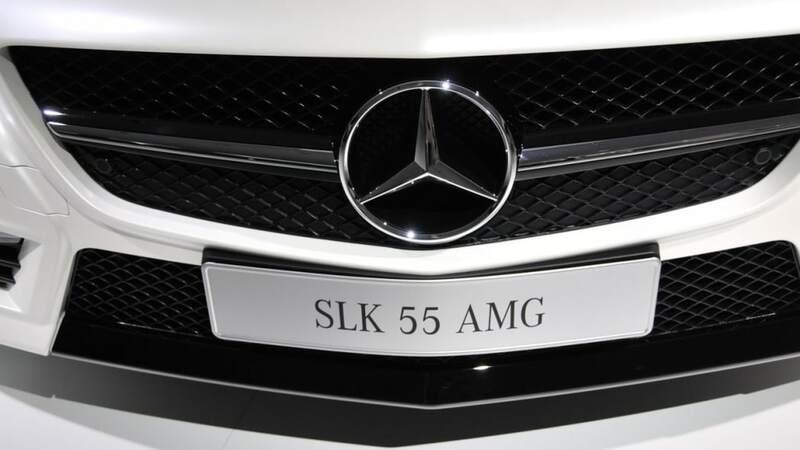 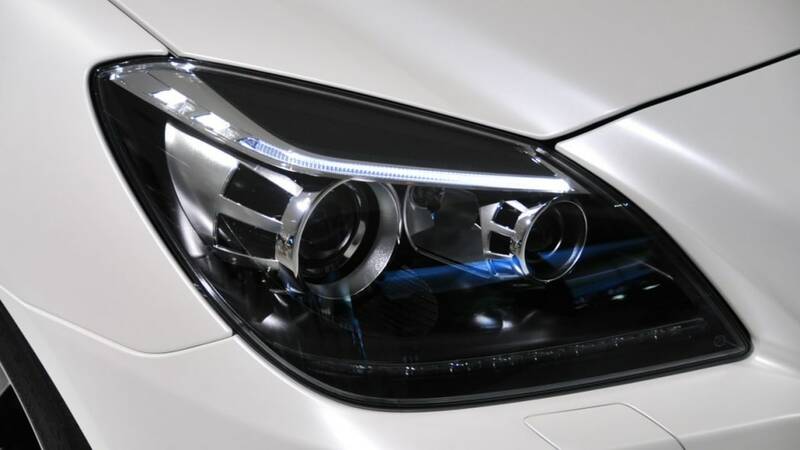 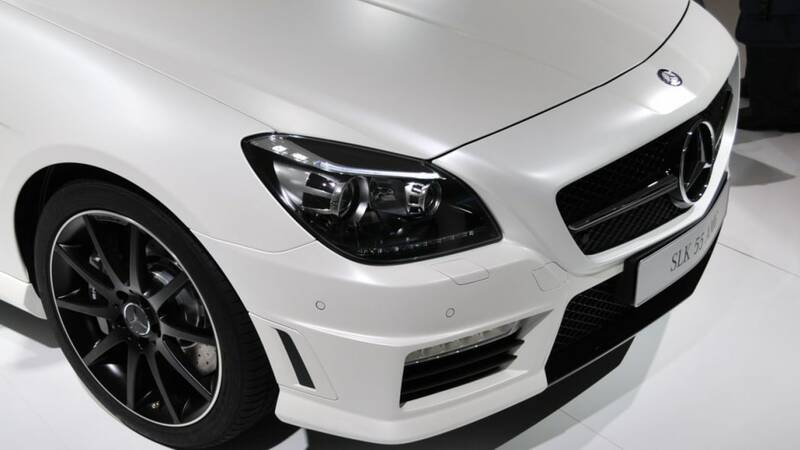 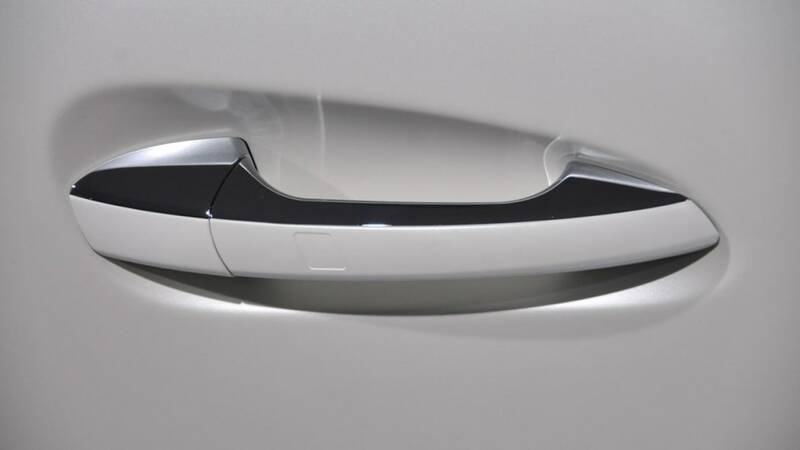 In addition to the standard upscale SLK equipment, including a power-operated retractable hard top with available Magic Sky Control sunroof panel, the AMG is visually differentiated by its SLS AMG-inspired bodywork and aerodynamics package. 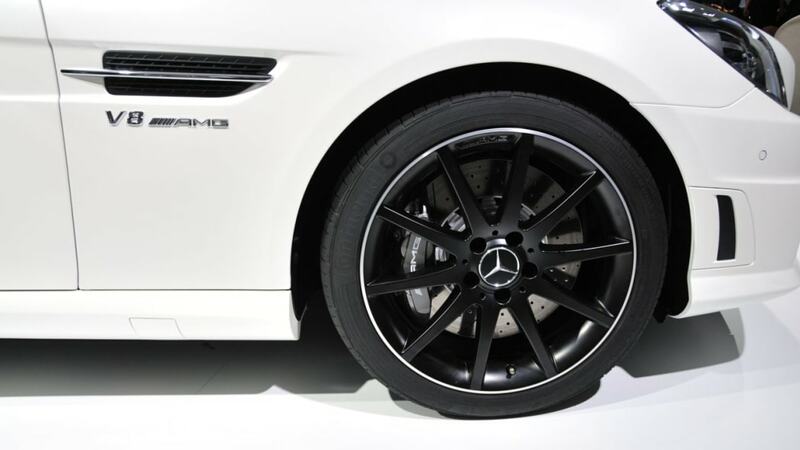 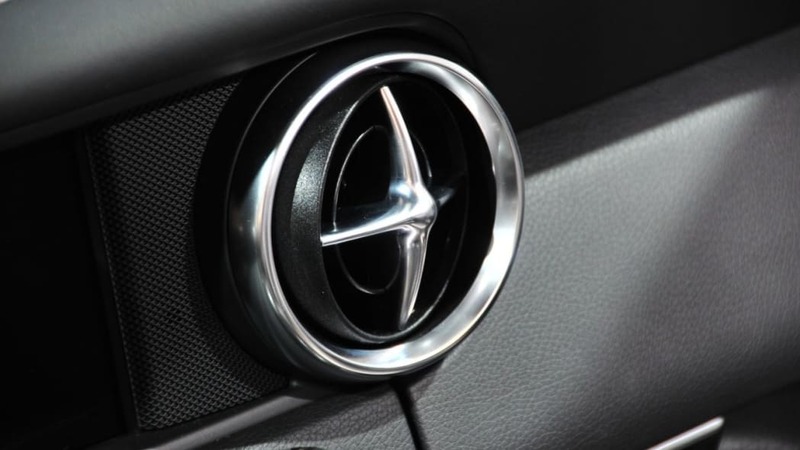 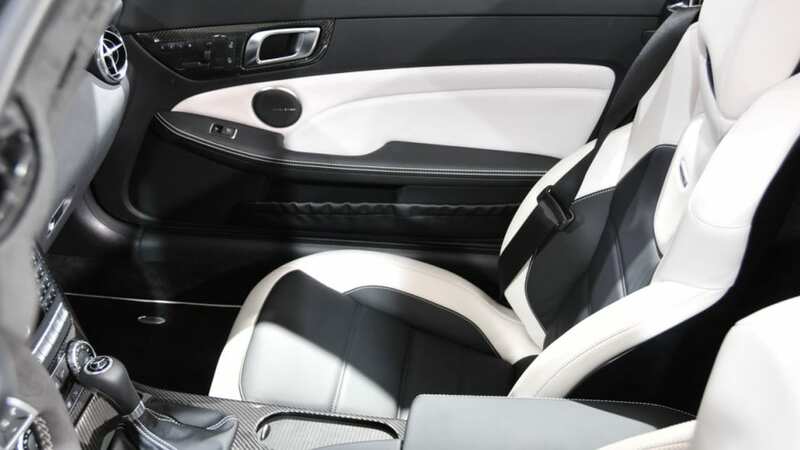 The cabin also gets the full AMG treatment, with unique cosmetics and upholstery designed to match the performance. 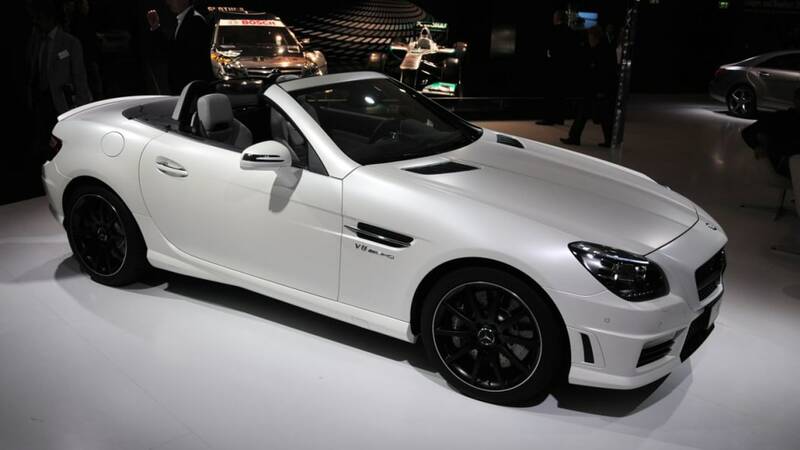 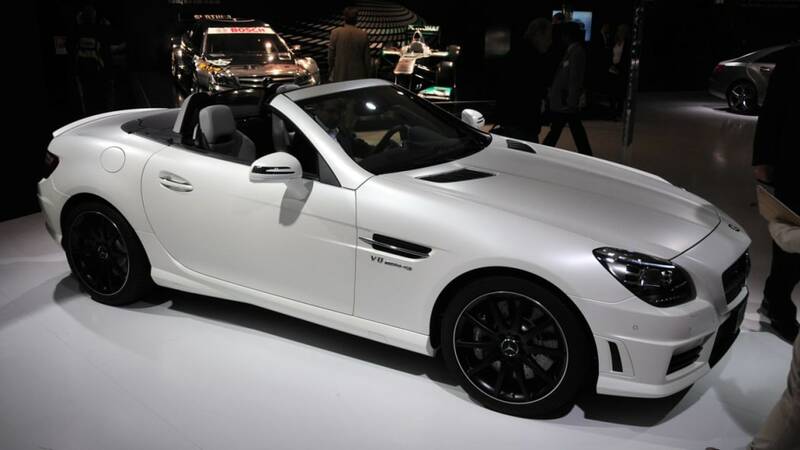 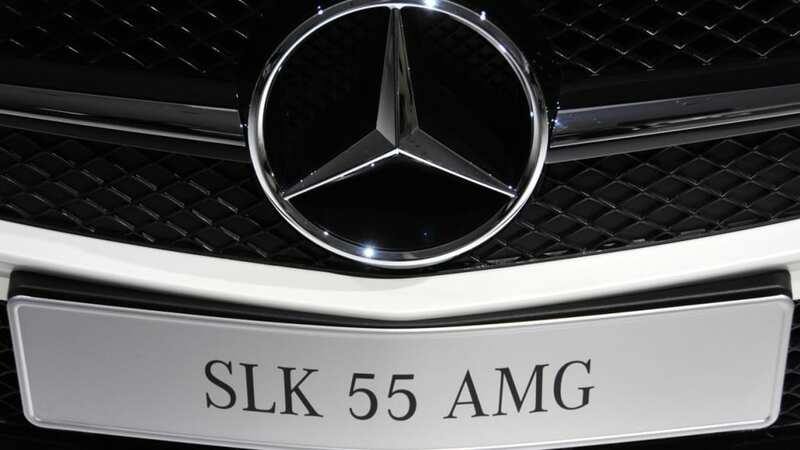 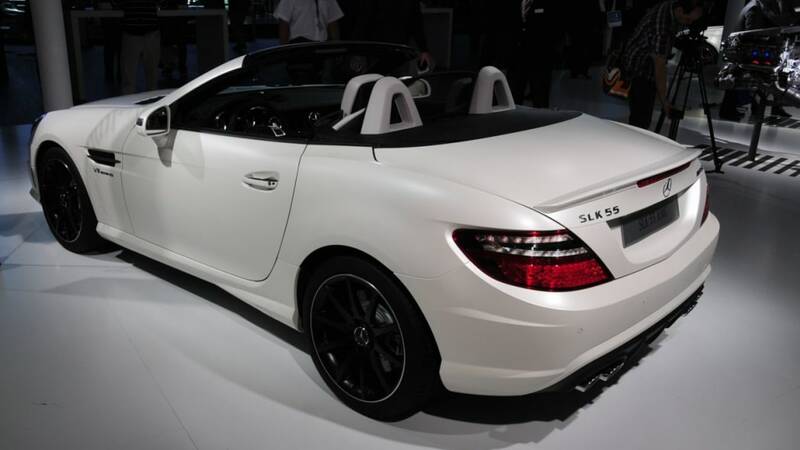 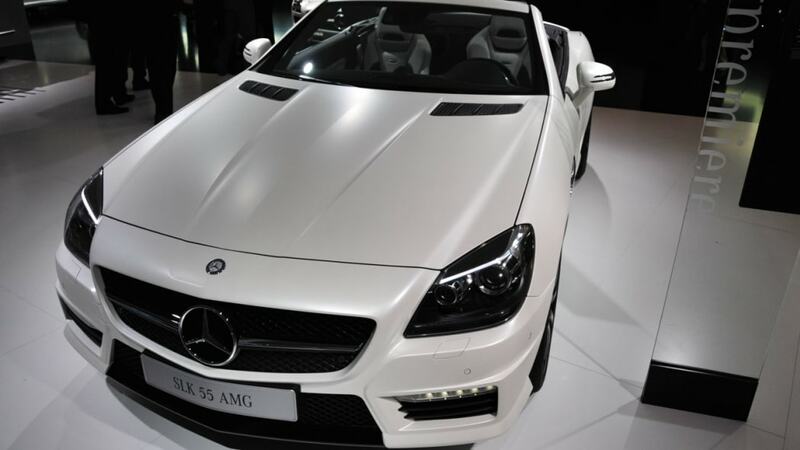 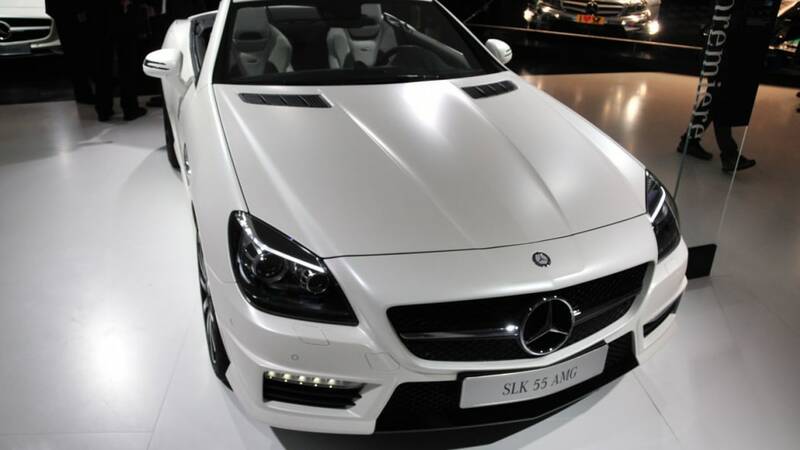 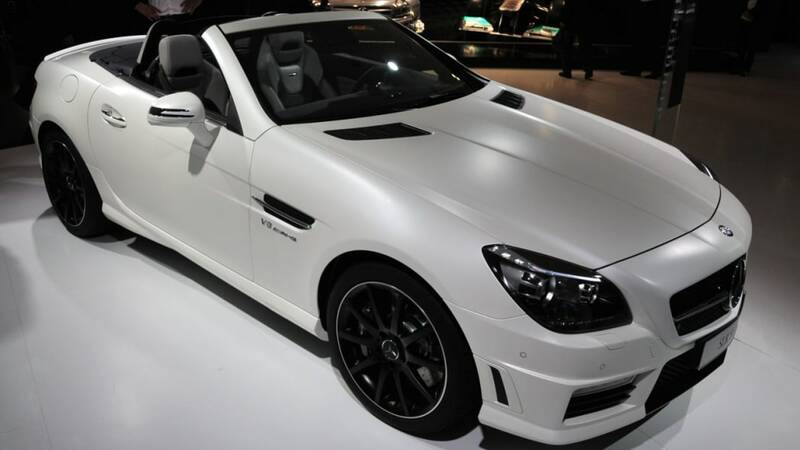 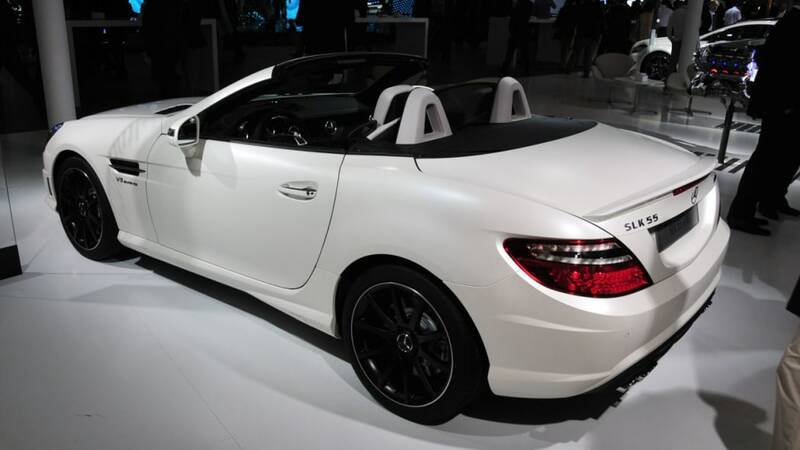 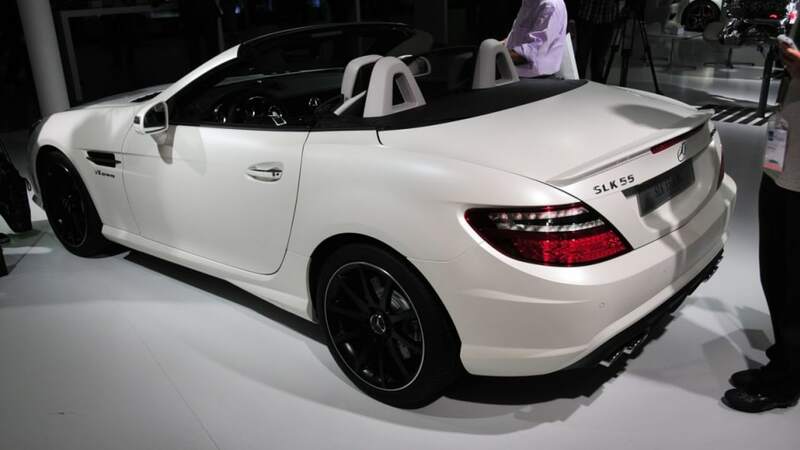 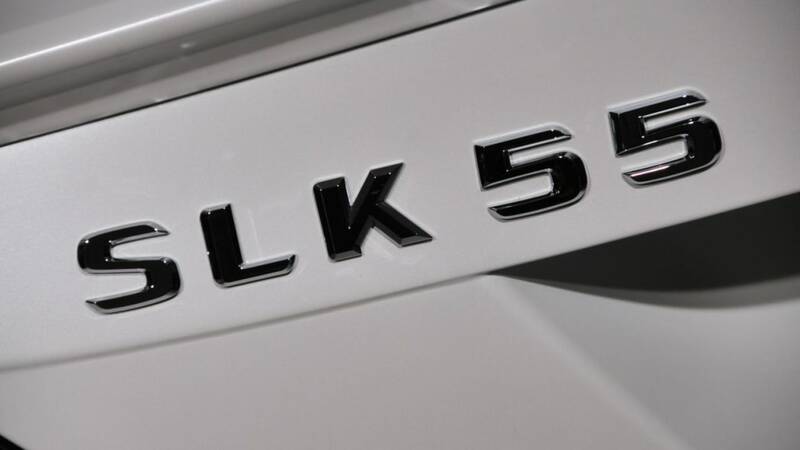 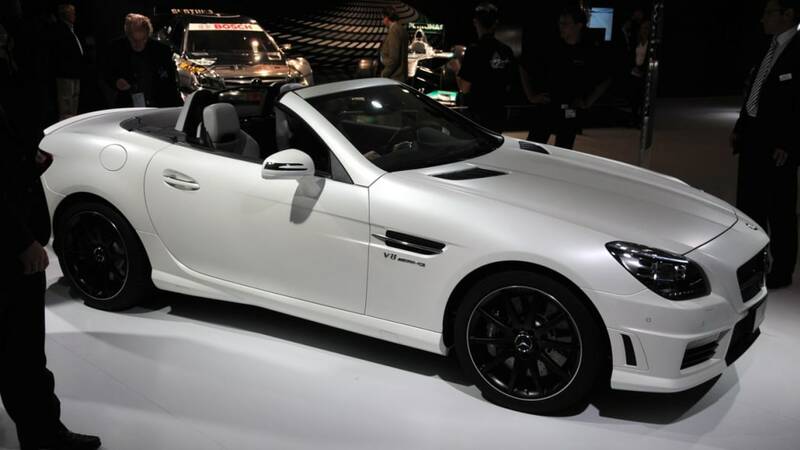 The 2012 SLK55 AMG won't arrive in U.S. showrooms until early 2012, but we say get your deposit in early. 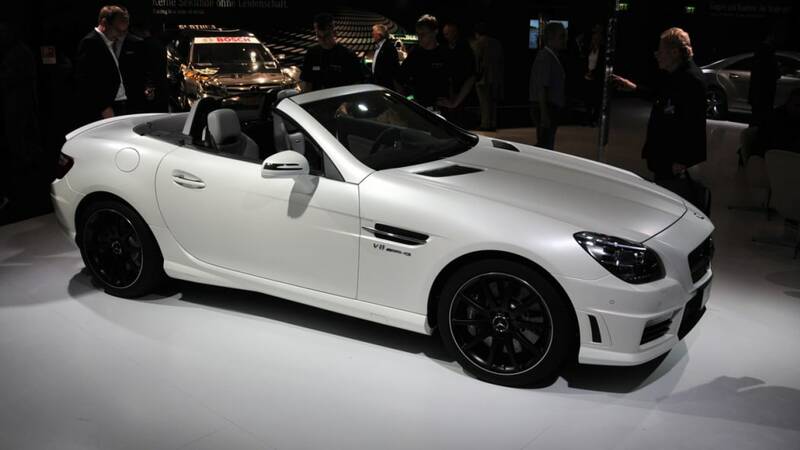 Pull up a chair, get comfortable, and watch (and hear) the SLK55 AMG in motion in the video after the jump.